This is a LOTR fansite, in a certain sense, but even more a fansite for two certain Elves and the stories I've written about them. 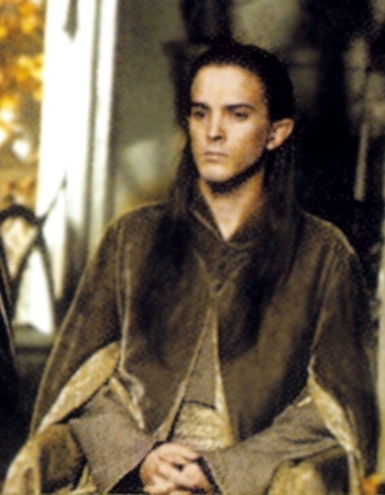 Legolas and Figwit are the best Elves (at least that we see- Glorfindel is by FAR the best of them all) and their stories must be known to the world! It is a rich tale, full of romance, betrayal, royalty gone wrong, and more! 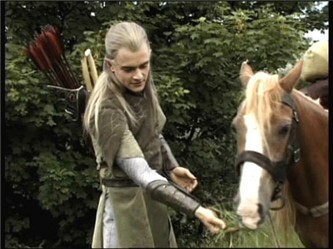 Featured are Legolas and Figwit, and their Kindly Readers, Sprite, Sake, and Aldawen. Along with this crew are Seamoose, a fanboy, Leroy, Elrond's magic carpet, Caligula, a two-humped camel, and a whole bunch of familiar characters from LOTR! 2/25/05 THE STORY IS COMPLETED! ...Wow. It's done. After two and a half years, it is done. Now I can finally work on other things! Also, the Acknowledgements page has been added. 10/8/04 Others page updated, About the Elfie Boys page updated, My Page updated. Disclaimer: I am not in any way associated with the Tolkien Estate or New Line Cinema. Everything on this site is used without permission.